China is the largest economy behind the U.S. for consumer spending and provides a market with a rapidly growing consumer base that is poised for significant growth in the coming years. 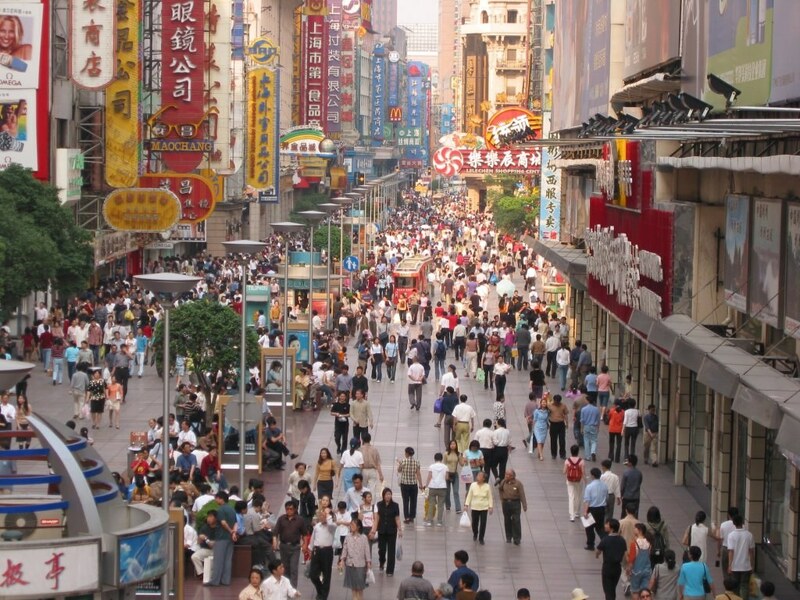 Currently, China has a population of approximately 1.4 billion… let that sink in. The percentage of middle income consumers has grown significantly in recent years from 5 million households in 2000 to over 225 million in 2017. In the short time since economic reforms, China has become home to one of the largest middle classes on Earth. According to The Economist, the current criterion for those within the Chinese middleclass involves Household Income between $11,500 and $43,000 a year, (keep in mind the lower cost of living). In 2000, merely 4% of China’s urban population was considered middleclass. By 2022, that figure is forecasted to be 76%. That’s over 550 million middleclass income earners in China. To put this in perspective, China’s middleclass will be 1.7 times the size of the entire population of the U.S. The explosive growth of China’s emerging middleclass has brought sweeping economic change and social transformation. By 2022, research suggests, more than 75% of China’s urban consumers will earn ¥60,000 to ¥229,000 renminbi ($9,000 to $34,000) a year. In purchasing-power-parity terms, that range is between the average income of Brazil and Italy. Just 4% of urban Chinese households had earned income in that range in 2000—by 2012, 68% of Chinese households had achieved this status. In the decade ahead, the middleclass continued expansion will be powered by labor-market and policy initiatives that will push wages up, financial reforms that stimulate employment and income growth, and the rising role of private enterprise, which should encourage productivity and increase household income. Should all this play out as expected, urban-household income could at least double what it is today by 2022. Currently, the most widely-used smartphone app in the world is WeChat, commanding roughly 846 million daily users. The WeChat experience is like taking every social network app you can think of (Facebook, Facebook Messenger, Twitter, Pinterest, Instagram, and so on) and rolling it into one interactive lifestyle engagement application. JD.com is the third-largest internet ecommerce platform, by revenue generation, in the world. JD is the ecommerce engine of WeChat. The Chinese consumer already has a fully cultivated sense of purchasing online via their smartphones. This means that WeChat and JD have the potential to reach the world’s largest consumer audience, creating enough buzz, conversation and engagement about hot topics and products that can, and will, influence an entire population. JD.com, and therefore WeChat, will be the primary platforms hoopla uses to market and sell your products. Last summer, hoopla conducted a series of focus groups in both Shanghai and Qingdao. The products we put in front of the Chinese consumers ranged from natural and organic foods to health and beauty products to nutraceuticals and supplements. The findings were interesting and not surprising. Turns out the Chinese consumer is looking for the same transparency and honesty about where their food and healthy products come from, how the products are sourced and made, and who’s making them, that the U.S. consumer has been demanding for the last several years. They are not yet as educated about organic, non-gmo, gluten free, allergen free, chemical free, as the U.S. consumer, but they are more than willing to learn about clean labels and responsibly produced products. This is where we, at hoopla, see the opportunity. hoopla is an engagement company. We are investing in building an open, honest, and transparent relationship with the consumer. Historically, the Chinese consumer has had very few choices and almost no recognition of “brand”. The promise we are going to keep with the consumer will be one of honesty and transparency. Every product offered on hoopla will be regard as a clean, transparent, pure alternative to their current choices offered both offline and online today. And, all of hoopla’s products will be 100% Made in the USA. Beyond the mechanics of exporting, this is undoubtedly the most unique aspect hoopla will own. hoopla is now looking for the next 1,000 Made in the USA brands that will transform and change the way Chinese consumers transact their daily consumer product purchases. Best of all for you, the USA brand owner, the Chinese export market previously had the impression of an unknown and frightening “black box” of concerns. hoopla eliminates those fears, and provides your brand entry into the largest consumer market the world has ever seen!